Many people mistakenly believe that only illegal drugs are dangerous or addictive. They assume that as long as you buy pills from a pharmacy, then Over-The-Counter (OTC) medication is perfectly safe and pose no real threat. Of course, in most cases, OTC medication is an affordable and beneficial option as you can procure them without prescription at drug stores or even supermarkets, but that doesn’t mean there aren’t any repercussions. A lot of OTC drugs can affect the brain’s chemistry and lead to serious medical or mental issues, especially when people take them recreationally and not to treat a medical problem. Dextromethorphan (DXM) – a cough suppressant found in many cold medicines. Loperamide – an anti-diarrheal that comes in tablet, capsule, or liquid form. When abused, these drugs are just as dangerous as prescription medication or opioids. How Addictive Are OTC Drugs? Recreational usage of OTC drugs can have almost the same effects on the brain as other illicit substances. People using them recreationally tend to consume them in higher doses to increase their euphoric effects. Over time, their bodies stop reacting to the standard dose, forcing people to take more drugs to get the desired effects. Moreover, patients that try stopping consumption on their own, often face severe withdrawal effects that make flushing the drug out of their systems increasingly difficult. It is easy for people to develop a dependency on OTC substances primarily because of the misconception that they are non-addictive. OTC drug abuse is especially prevalent among teenagers, with 40% of them feeling they are safer than illicit drugs, and 55% believing it is not dangerous to use cough medicine for recreational purposes. What Are the Health Concerns of Prolonged Use? Some OTC drugs contain DXM, a substance that can cause hallucinations, panic attacks or even paranoia when taken recklessly. What Are the Dangers of Mixing OTC Drugs with Alcohol? Some OTC drugs can damage the body on their own, but when you combine them with alcohol, the intensity and severity of their side effects increase dramatically. Alcohol already has a damaging effect on the liver, but in combination with OTC drugs, it becomes increasingly difficult for the organ to process these substances. As such, liver damage, or even failure, are serious health consequences that one should consider. The bad news is that patients don’t even have to consume these substances at the same time to experience negative reactions. Both alcohol and OTC drugs linger in the body for a while, which is why doctors advise against taking medication to treat hangover headaches, for example. Can You Overdose on OTC Drugs? OTC medicines can lead to overdose, especially if they contain DXM or loperamide. Because of the effects, these substances have on the brain, patients can easily develop a tolerance to them and start taking higher doses. Moreover, as mentioned above, combining OTC drugs with other substances increase the risks of overdose. The signs of an OTC overdose are very similar to that of opioids: the patient will experience respiratory problems or even stop breathing altogether. Other symptoms include confusion, vomiting, sleepiness, and loss of consciousness. The fact that Over-The-Counter medicines are more accessible to the public and easier to purchase does not render them completely harmless. When used recreationally and in high amounts, these drugs can have potentially life-threatening effects. Professional help is mandatory for people that want to get off the drug and live a healthy life. When people think about over-the-counter drugs, they usually don’t associate “rehab” with the abuse of these substances. Whatever the cause, you want to know how to stop taking over the counter drugs in an abusive way. Windward Way’s program for addiction treatment deals with each person individually; we can customize your rehab experience. You will also see that our many treatment modalities offer the solution you’ve been looking for—we can serve as the OTC drug rehab center you need, as well as deal with the other serious addictions you’re personally battling (or someone you know). 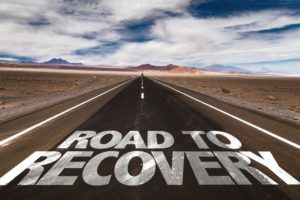 If you want an addiction treatment for over the counter drugs, but haven’t yet discovered the tools to deal with the multiplying addictions beginning to wreak havoc in your life, we’re here to help you begin the process. We will stand beside you, every step of the way, as you discover how to live without the chemicals destroying you—OTC or others. Call us today; we’re standing by to find a solution for you: 855-491-7694. When a person discovers he’s not only addicted to OTC drugs but also battling another addiction, Windward Way is right there to offer him the rehab center for addiction to over the counter drugs. But we also offer so much more. In fact, that’s why we’re so excited to share recovery with you—our drug treatment and alcohol rehab are both, unlike any other rehab experience you’ll experience elsewhere. Your new adventure is ready to start. We’re here to craft a unique program to help you attain the goals you seem to have missed out on. Our friendly staff can navigate the often frustrating and baffling insurance procedures you come up against. Call us now—start your new adventure in recovery this very moment: 855-491-7694.